Colour grading is one of those creative skillsets that requires as much artistic and creative imagination as it does technological knowledge and inventiveness. These resources, gathered from all corners of the web, should help you improve both the art and science of your colour grading. Colorist Charles-Etienne Pascal has a great site called iseehue.com on which he recently posted this grading breakdown, with a node by node reveal of how he created the look. Charles also has some great blog posts on matching shots, grading wide shots and the importance of art direction in color grading. In this great post from the Lift Gamma Gain forum, colorist Juan Melara details how he achieves specific skin tone looks using curves, qualifiers and pushing reds into the shadows. 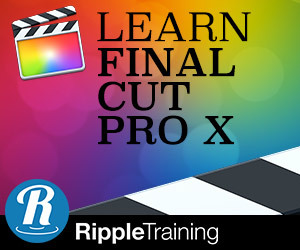 In this quick tip editor and colorist Aaron Williams shares how to use printer point controls mapped to keyboard shortcuts to quickly re-balance and image and remove bad white balance colour casts. Since they affect the whole image (not a tonal range), they are fantastic for fixing bad white balance, which also generally affects the whole image. During my internship at EFILM, the colorists would have their color assistants go though the show before them, balancing and matching shots (essentially doing a rough primary correction) using only printer points. In a pair of ‘cross-published’ posts colorist Robbie Carman (from Mixing Light) posts over on PVC, while editor Scott Simmons (from PVC) posts over on Mixing Light. Both posts cover the journey from editorial to colour grading but from the pairs differing perspectives, which provides plenty of great insights. One of the clearest things to come out of both posts is how essential good communication between editorial and color is for a smooth handover although both provide plenty of technical specifics too. If you’re new to colour grading then this collection of quick tips on how to navigate and use common color grading UI tools should help bolster your knowledge. 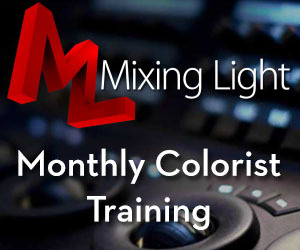 Learn how a qualifier works, how to read an RGB parade and what masks and colour mixers do. In these two Filmmaker IQ lectures John Hess takes you through an introduction to both the history and science of color in film, then in digital filmmaking and finally the importance of colour temperature. Rounding out this colour video fest is a great conversation between colorist Tom Parish and Roxy Radulescu, creator of the very cool Moviesincolor.com and another conversation between Tom and Cedric Lejeune on managing colour consistency throughout your workflow. Both are a great watch. In these short videos Michael Cioni explains the differences in bit depth in under two minutes, as well as a decent explanation of metadata and then color temperature from Jeffery Seckendorf. If you like what Michael has to say check out these other posts in which he features. Thank you for sharing my article Jonny and thank you even more for all the other very, very useful information you meticulously collect on your blog. Great work! Thank you for putting it all together, its great when people with real creative expertise share with the rest of us!